Eyes are the first thing a person sees in you while you are in an interaction with someone. It is the eyes which add extra glimmer to your beauty and makes you look even prettier. Kajal, Eye shadow and other beauty products may not be helpful if you are suffering from dark circles under your eyes. Trying chemical products may be ineffective and harmful to your eyes. Here are some home remedies which will reduce the dark circles and under eye pigmentation. Giving you the beautiful eyes you always wanted. Most of the dark circles are caused due to tension, sleep deprivation, working late on computers, or watching tv etc, bad diet, reduced water intake or poor health conditions can also lead to under eye dark circles. The first of the remedies which you might have seen being used in beauty clinics is using fresh cucumber or potato over your eyes. But did you know that even potato has melanin reducing abilities. Putting a slice of fresh potato over your eyes. Potato being rich in Vitamin C, is good to ward off free radicals helping in reducing blemishes, wrinkles and dark lines. Apart from this you can apply juice of cucumber or potato by blending them in a blender and applying it with a cotton ball. 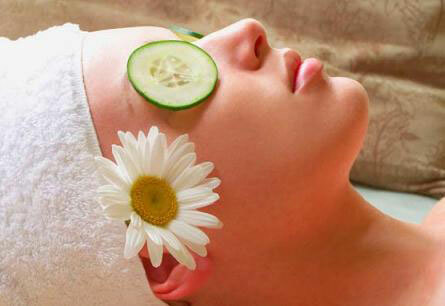 Cucumber is soothing to the eyes and leaves your skin fresh and hydrated. For best results you should apply it over night. Tomato is rich in Vitamin C and has the anti oxidants. 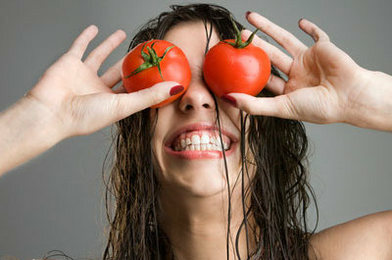 Tomato paste is often used as an effective remedy for under eye dark circles. Here is what you need to do take two fresh red tomatoes, and a tablespoon of lemon juice, put some gram flour and turmeric powder in it. Blend these ingredients making it a consistent thick paste now apply it gently around your eyes with a cotton ball. Keep it for 20-30 mins and rinse it with water. You can apply the fresh paste two to three times a week, this will make skin around your eyes more radiant and lighter in complexion. Make sure you do not increase the concentration of lemon in the paste, which can leave your skin red, because of its acidic nature. Almond oil also helps in eradicating the dark complexion around your eyes. Almond oil will keep your skin nourished and moisturized. All you need to do is clean your face with water. Take a cotton swab wipe the dust and oil. Now apply the oil on the dark circles you need to be careful not to put the oil in your eyes. You can wash the oil next morning, visible results can be seen in a short span of 15-20 days. Mint leaves are often used in beauty products to give you the freshness and the cooling sensation, it helps reduce the extra oil from your skin as well. 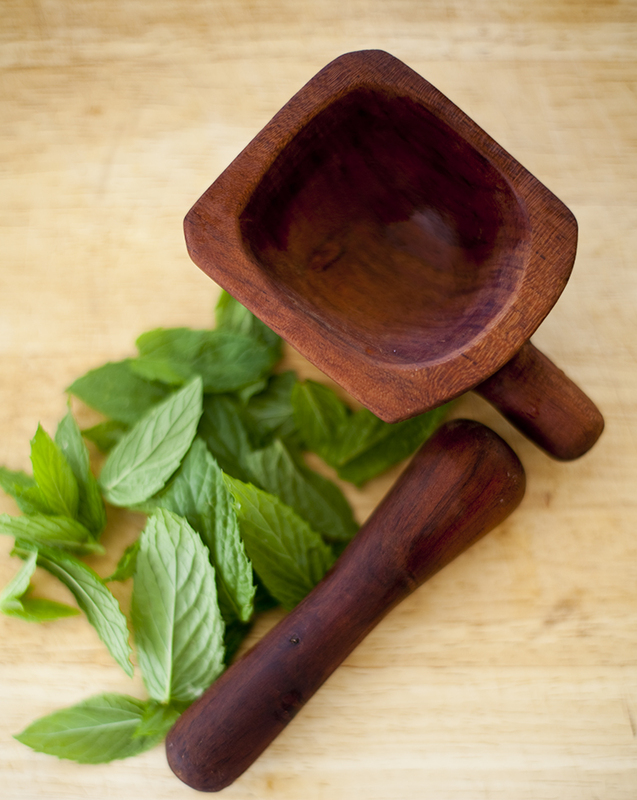 Applying crushed mint leaves on the dark circles will help you reduce the pigmentation. Here is what you need to do, take some crushed mint leaves and leave it around the eyes for 5-10 minutes. Later gently wipe them with a clean cloth. 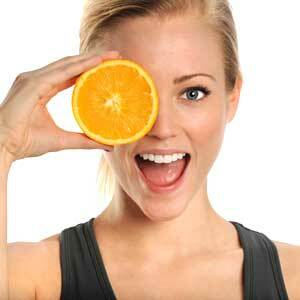 This will keep your eyes healthy and also help you get rid of those dark circles. Orange juice is a rich source of vitamin C and is used for removing blemishes and dark spots, if you dry the orange peel and apply it with lemon on your skin it will help you reduce dark spots. Any how here is how you can reduce the under eye dark circles using glycerine and orange juice. Mix the orange juice with a small quantity of glycerine, and apply it with a cotton ball directly on the dark areas of your eye. Ones again do not apply too close to the eyes else glycerine can leave you in tears. Using tea bags can also benefit in reducing under eye stress and discoloration. After using the tea bags don’t throw them away. Place the moist tea bags which are at low temperature on your eyes. Keep it for 20 minutes, then rinse. Try this for 2 weeks to see visible difference. Apart from the above tips drinking water on a constant basis reducing the amount of time spent on computers, and television, washing your eyes regularly will help you get rid of the dark circles naturally. I do have the same opinion; tomato juice and yoghurt are really very helpful in reducing under eye dark circles. Instead of this we can also use cucumber even I have tried it and got the results.